Hosts Adrian, Jeff, and Zach discuss a wide variety of board gaming topics including: what they have been playing, current and interesting Kickstarter projects, important industry news, in-depth reviews on games, and anything else that crosses their minds! This week the Mile High Game Guys spend some time talking about the different ways that cooperation shows up in board games. The MHGG hosts go through their recently played games before digging into this week’s News and Kickstarters. The Mile High Game Guy reach way back and review the classic worker placement game, Caylus! Jeff is back for another round of recently played games and discussion of this week’s News and Kickstarters. With Jeff out yet again, Andrew joins Adrian and Zach to talk about a few of their favorite classic card games: Euchre, Cribbage, and Canasta! Andrew fills in for Jeff as the MHGG hosts recount recently played games and discuss this week’s News and Kickstarters. The Mile High Game Guys talk about some recently played games before diving into this week’s News and Kickstarters. The Mile High Game Guys talk about recently played games before diving into this week’s News and Kickstarters. Recently played games and this week’s news and kickstarters like usual. This week the Mile High Game Guys spend some time talking about the different aspects of managing and maintaining your boardgame collection. This week the guys take a look at TMG’s new game Crusaders: Thy Will Be Done. After surviving a perilous journey down the Halen River our heroes are forced to make a decision: carry on down the river to the fort town guarding the border and proceed inland from there or leave the river and cut across the countryside directly for Gofnerfurt. An XL discussion about the busy weekend before recently played games, News, and Kickstarters. The MHGGs sit down to review the latest hotness, Wingspan! How does it stack up? Is it as good as the hype suggests? Listen in and find out! The Mile High Game Guys get down with recently played games, including Betrayal: Legacy before digging into this week’s News and Kickstarters. This one is about our favorite boardgame components, but this just doesn't mean prettiest, it also factors in usability. We want form AND function! Having aided the Eladrin in their return to the Fey, our heroes leave the Farrowood and begin a long journey down the Halen River towards Gofnerfurt. The MHGG hosts are reunited just in time for a recap of recently played games, as well as this week’s news and Kickstarters. The Mile High Game Guys sit down to talk about the state of boardgame publishing and collecting. Features Wes as Not Jeff! 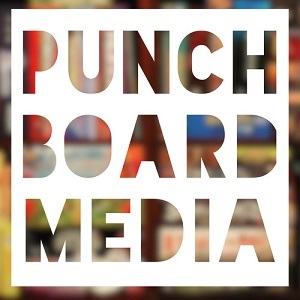 Guest host Wes joins us to look at recently played games, news and kickstarters. With Jeff out for a bit, Adrian, Zach, and guest host Andrew look at recently played games, News, and Kickstarters. This week the Mile High Game Guys review The Estates from Capstone Games! The Mile High Game Guys run down their recently played games and look into this week’s News and Kickstarters. The Mile High Game Guys, once again joined by Megan, discuss, pick apart, and ruin the 4th Scenario of TIME Stories, Under the Mask. Spoilers will be rampant. Having dealt with Therazdun and his desecration in Mancaster our heroes spend a night relaxing before setting back out into the Farrowood to continue their adventures. Adrian got into good spirits with Spirit Island, Jeff got to try out Terraforming Mars Colonies, and Zach made some potions in Quacks of Quedlinburg. After the crew had so much fun with the Dread episode, they decided to take a crack at another one shot RPG. This week Adrian leads Jeff, Zach, and guests Bob and Wes on an action movie adventure using the All Outta Bubblegum ruleset.